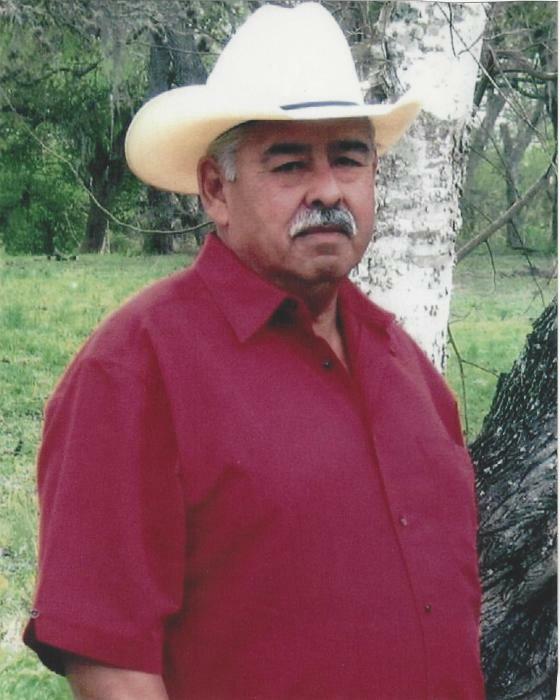 BERCLAIR – Juan A. Moya, 71, of Berclair, died on Nov. 14, 2018. He was born on July 23, 1947 in Berclair, Tx to the late Quirino and Luz (Arredondo) Moya. He married Rose Martinez on Dec. 23, 1965 in Beeville, Tx. He was the owner of Moya’s Restaurant in Berclair, Tx. He is survived by his wife, Rose M. Moya of Berclair, Tx; two daughters, Brenda (Joseph) Mata and Patricia (Brandon) Huber both of Berclair, Tx; eight grandchildren, Kimberley (Joseph) Smullen, Marissa Cardona, Justin Moya, Jakob (Kristen) Mata, Allison Moron, Bailey, Caleb and Delaney Huber. He is also survived by three great grandchildren. Visitation will be held on Thursday, Nov. 15, from 4-8pm at Oak Park Memorial Funeral Chapel. Funeral services will be held at 10am on Friday, Nov. 16, at Oak Park Memorial Chapel with Reverend Brian Tarver officiating. Interment will follow at the Berclair Cemetery. Serving as pallbearers are Brandon Huber, Bailey Huber, Caleb Huber, Joe Mata, Jakob Mata and Justin Moya. Honorary pallbearers are Joseph Smullen, Michael Clifford, Lukas Smullen and Dr. William Shay.